Here’s a beautiful interview with Mesi about our relationship and photos taken by our talented friend Grazina. We are lucky to have many friends who happen to be awesome photographers! Mesi describes a bit about how we got together and some of the challenges we faced doing long distance. She has a way of talking about our life and experiences in a way that is much more insightful and meaningful than I could ever be. What would be your advice for long distance couples? We started figuring out stuff in a Buddhist monastery in Nepal. It was a month long retreat where we studied the teachings of the Buddha, learned meditation techniques and stayed away from the outside word and touching each other for the whole time. It has totally rocked our world, like our common path together was blessed through that process. And our brains transformed. That was 6 months before we moved together permanently in Budapest. So my advice would be instead of going on holidays together (what we did for a while) where you most likely are going to stay in your comfort zone, wear your best dresses, eat well, drink even better and most likely never really get to know each other’s deeper aspects, I recommend something more profound where there is a space to cut through the layers of superficiality and you have the opportunity to shift the bond to a deeper level to see if it’s the idea of the other/relationship that you so want or you actually appreciate who the other is and feel that not continuing together is not even an option anymore. Read the rest of the interview and see some (slightly cheesy) photos on Grazina’s blog here. We don’t usually blog much about food, but two weeks ago we had a great lunch at Sean’s Panorama – a North Bondi institution that’s been serving residents of Sydney’s most famous suburb delightful dishes for more than twenty years. Against a backdrop of sand and waves, we supped fantastic wine, munched fresh sourdough, enjoyed a delicious beetroot and goat cheese salad followed by creamy pasta and rounded it all out with nougat for dessert. And somewhere between the bread and the salad, we got married. It was remarkably low-key, spontaneous and tonnes of fun. Despite hardly any planning, it ended up being special in its own Brad and Mesi way. Or maybe that was because there was hardly any planning. The ‘ceremony’ – if you can really call it that – was held at the table by the lovely Tami, who managed to tune perfectly into our flowing, relaxed vibe. Noticing the chardonnay already on the table, she improvised a short wine ceremony – getting us to drink from the same cup while mentioning the symbolism of the gesture. She even prepared a Hungarian saying that roughly translates to: “Life is good when things are flowing”, which describes our relationship quite aptly. We were smiling and laughing all the way through – even when the waitress interrupted to take our order. I’m pretty sure it was the first time that the waitress had been told ‘I’m sorry we’re not quite ready, can you come back after these two finish getting married?’. Thanks to the patrons of Sean’s Panorama for giving us a round of applause when the whole thing was finished – it was one of those silly but cute movie moments that would’ve fit well into a Richard Curtis film. And we also couldn’t have done it without our two good friends and witnesses Silvia and Bridget. Thanks for being there and for being flexible enough to show up with two days’ notice. – Brad and Mesi, now husband and wife, according to the law in Australia. P.S. We are planning a larger, proper do in Ubud in the summer with our friends and family from around the world. However, in planning for this wedding we discovered that to get married legally in Bali the couple not only needs to nominate one of the four major religions (Hindu, Buddhist, Christian and Muslim) they have to nominate the SAME religion. We have no interest in being a part of this. We toyed with the idea of getting married in Bali, spiritually and energetically, but without the formal recognition of the law. 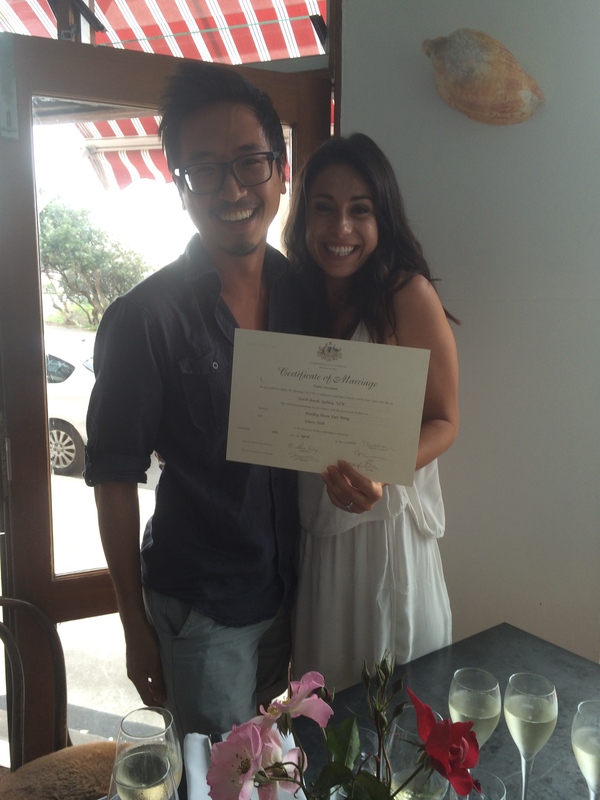 But at some point we accepted we needed to get ‘officially’ married, mainly because things are just so much easier when you have a piece of paper that makes you legally married. Sean’s Panorama felt like as good as a place as any to have it done. Across the road from the hotel where I’m staying is a large watery slum, built on the surface of Banani Lake. It sits right in the middle of the city, just a brisk row away from Gulshan, the Manhattan-esque isthmus where the city’s expats, diplomats and elite reside. I’m at the hotel restaurant and an American from the USA arm of BRAC, the world’s largest NGO, which incidentally owns the hotel I’m staying at, comes over to introduce himself. We talk for a bit, and then I excuse myself to go outside. Just around the corner is my favourite chai wallah, and I sit in his makeshift stall while an endless stream of cycle rickshaws ferry their passengers through the sea of traffic. 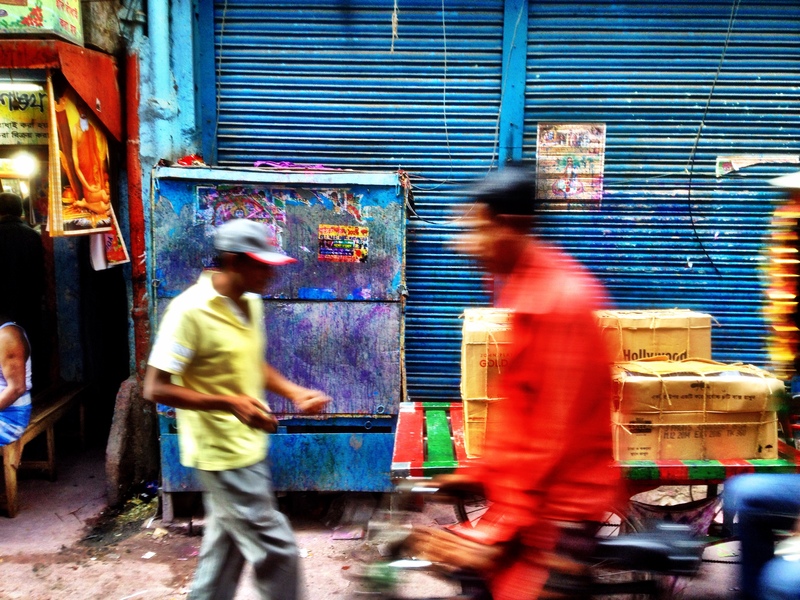 Development expats, rickshaws, diplomats, chai wallahs, slum dwellers, and the world’s largest, multi-national NGO are crammed together in this neighbourhood – an area no larger than a college campus. This is the reality of modern Dhaka. Over 10 days I weave in between all of these worlds, glimpsing enough of each to get a sense of how all these parts fit together in this marvellous, crazy corner of the Earth. 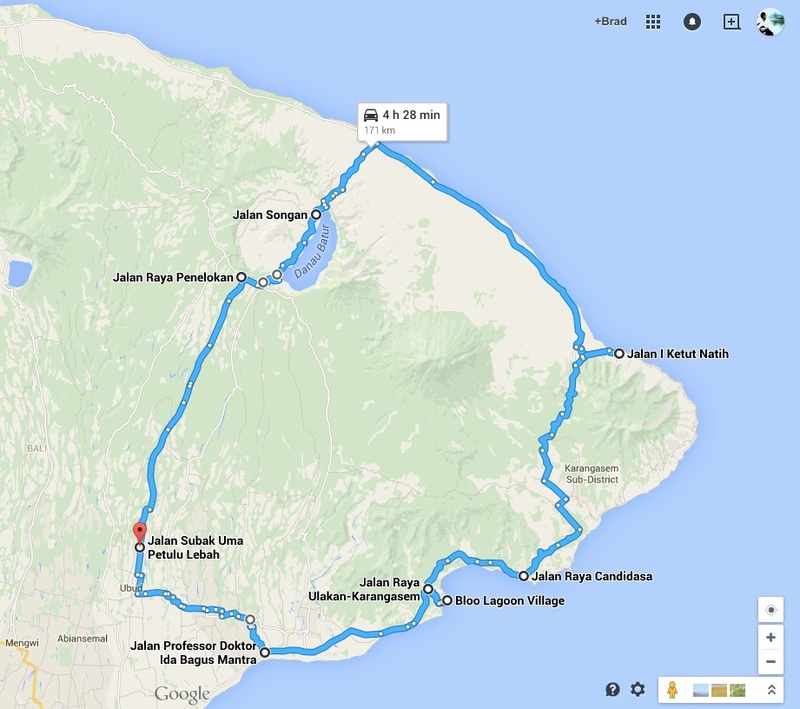 Take a map of Bali and circle the main tourist spots: Kuta, Seminyak, Ubud, Sanur, and the entire Bukit peninsula – it’s an amazingly small part of the island, I’m guessing less than 10%, that captures the imagination of 3 million visitors every year. What about the other 90%? What’s there? When my friend Chris arrived for Chinese New Year break I suggested we do a bit of road-tripping, to go off and see what lay out beyond the well-trodden paths. The result was unbelievable – a two-day adventure of draw-dropping jungle-mountain-ricefield vistas, quaint villages, cops and gun men, and underwater exploration. We set off on two scooters, with little more than a full tank of petrol and rough idea of where to head first. 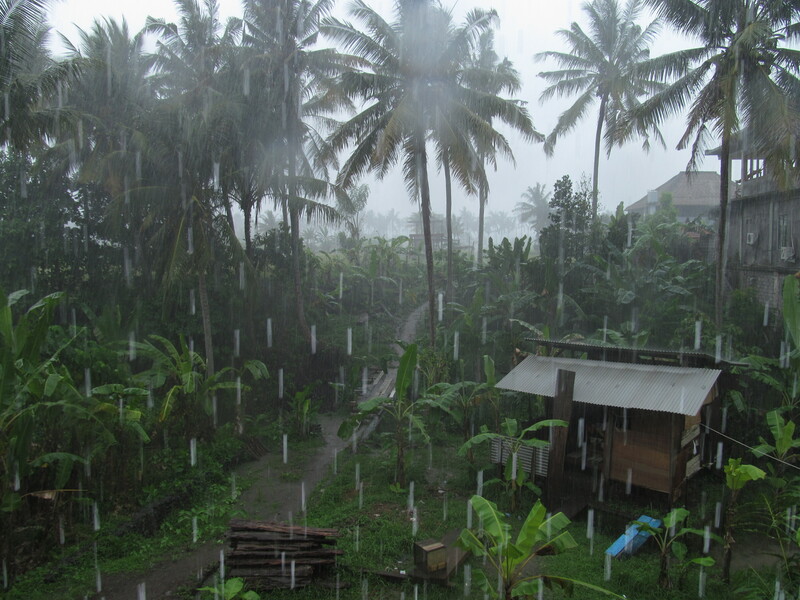 The monsoon in Bali is a great re-creator. Water falls in buckets from the sky, filling up rivers, irrigation systems, springs and rice fields. What were once yellowing, drooping vegetation – suffering after months of heat – rise again, vibrant with green. And for people, especially busy ones with lots of things to do, the monsoon is the great re-creator… of plans and expectations. I’ve learnt more than once during the monsoon that it pays to be patient, and fully embrace, as the Italians like to put it ‘Dolce far niente’ – the art of doing nothing. The rains come, and wherever you happen to find yourself is wherever you stay, for hours. Yesterday I was on my way with Kriszta, Adam and Zsuzsi – all Hungarians – to the bamboo villages of Belega and Bona. The plan was to check out the handicrafts, and perhaps, find a teacher who could educate me in bamboo materials and construction. Halfway through the rains started, and we pulled into Amaly Gallery – an antique store on the road to Mas – to wait out the shower. It soon became clear that the rains weren’t going to stop. It poured and poured and poured till the road flashed with brown water, and it seemed more appropriate to use motorboats instead of motorbikes on the tributary outside. There was no going to the villages – I’d have to find my bamboo master another day. 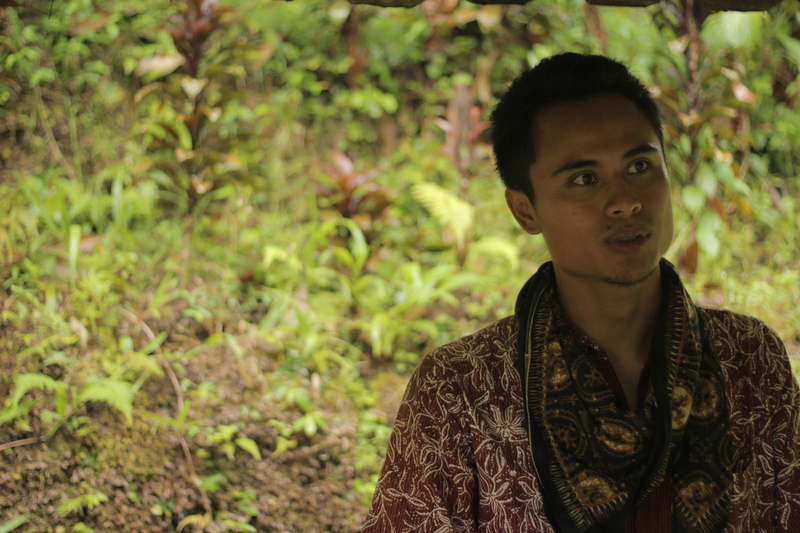 Today we had an interesting encounter with a Balinese man Komang, 29. He lives in a small village of 2000 people, Calo (pronounced like the Hindi word for ‘let’s go’, challo!). He travelled the world for four years working on various cruise liners, learnt to speak four languages during that time and recently returned home this year, in August, to marry his high school sweetheart. They are expecting a baby in April. Our friends and current house mates, Adam and Zsuzsi befriended Komang a weeks ago, while we were on a visa run to KL. Today, they decided to meet to catch up and also because Adam (a filmmaker) wished to shoot Komang’s family harvesting rice for a feature he is working on. 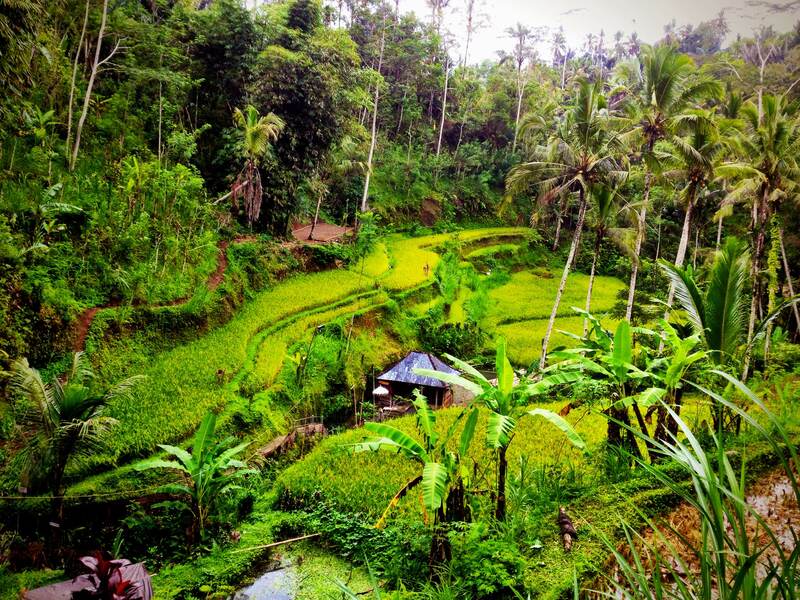 We followed A&Z, through a wonderful series of rural roads north of Ubud, past rice fields, gorges and rivers. The tourist density once you get ten km away from town drops dramatically, and you’re left with lots of simple villages and a glimpse into what life must have been like before the explosion of visitors to the island. Forty-five minutes later we found Komang in Calo, in his corner of paradise. My blog post accepted into Lomo Magazine: Analogue Lifestyle! A few months ago, when I was in Hong Kong, I interviewed my grandmother to ask her about her life. Besides being a great story, there were some amazing photos from the 1940s and 50s that I thought would interest the analogue enthusiasts at Lomo. I’ve done some serious Lomo shooting in the past and to be honest, I’ve never captured better photos than on my LC-A+. Very happy to say that the folks at Lomo Magazine decided to publish the piece on my grandma – particularly since it allowed it to reach a wider audience than just this blog! The link to the article in Lomo Magazine: Analogue Lifestyle here. And the original blog post here. 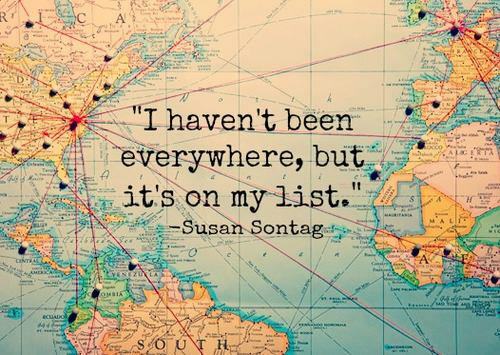 I used to have a bucket list, and I used to think completing it would make me happy. go to Carnaval in Rio. Maybe, if I got round to it, I would also snake my way north to spend time living in a celebrated, world-class city like New York or London (forgetting that I had come from a celebrated, world-class city already, Sydney). It was a list of my so-called ‘life goals’, things that I had gleaned from glossy travel magazines, movies, documentaries, Lonely Planet guides, friends’ Facebook albums and a lifetime worth of other bucket-list creating impulses. For sure, I imagined, getting these things ticked off would make me a more complete, satisfied person. Humans of Peter Dias Rd. When I was living in Mumbai, I used to come out of my apartment every day and see this small hut. Most of the time it was closed, and even when it was open, there was rarely anyone in there – just a lot of books. I often wondered what the hell is this place? A friend wrote a great blog post about this store and the man who runs it. Not only did it answer some of my questions, but it paints a beautiful picture of simple existence in a massive city. Bombay has 22 million stories just like this guy – people coming from all over India, just trying to carve out a life in their corner (or small hut) of the world. When we were searching for a house, we consciously sought out a place with at least two bedrooms so that we could have guests come share the magic of Bali with us. We’re very pleased to say that we have our first overseas guests: Zsuzsi and Adam who came all the way from Hungary! Mesi met them in India a few years ago, and back then they connected immediately and we’ve kept in touch since. They only spent a couple of days here before heading off down to Canggu for a wedding. But we still had plenty of time to catch up, share stories and explore new areas of Ubud. We even went on an excursion to check up on their friends’ pet monkey – Kiki, while the owners were away (getting married). Mesi and I have quite a strong fear of monkeys, and it’s not completely unfounded. We’ve both been ‘mugged’ by them in India and more recently in Ulawatu in Bali. We’ve been in Ubud for almost a month and we haven’t even thought about going to the Monkey Forest.